Another player has been lost due to the signing of Kevin Durant. This time it’s Marreese Speights. Mo Buckets agreed to a deal with the Los Angeles Clippers, reported by the Undefeated. This wasn’t completely unexpected. Although the Warriors were open to him returning, the Durant signing made money for other free agents a precious commodity. Speights likely would have had to return at a steep discount, which is a lot to ask for a player that scores with the type of production he does off the bench. Last season, he averaged 7.1 points per game in just 11.6 minutes per game. In 2014-2015, his points per minute rate was even more impressive, averaging 10.4 points per game in 15.9 minutes. Speights is a one-dimensional player, though, who thrives on hitting 18 foot jump shots above the elbow. He also developed a nice 3-point stroke last season, and has a penchant for knocking down shots in rhythm. 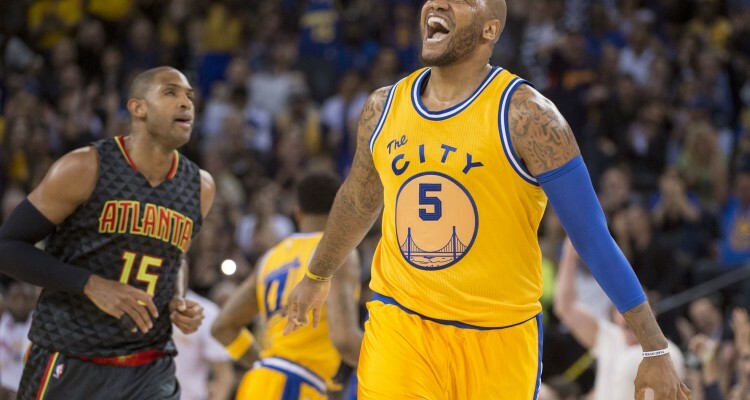 He’s very good at that one aspect, and while it’s nice to be able to have a player his size stretch the defense, the signing of David West was really the writing on the wall that indicated Speights had become expendable. West doesn’t have the 3-point range that Speights does, but he’s an adept midrange shooter. West shot 48.4% last season on shots between 16 feet the the 3-point line. Speights comparatively shot 45.5% from that same range. West is better at the main skill that Speights provides, while also possessing more ability on the defensive end. It’s sad to lose a guy like Speights who helped this team achieve greatness, but the Warriors have brought in a replacement for him that is a better all-around player. The Warriors front office has handled the repercussions of the Durant signing fantastically, ensuring that the depth of the roster isn’t badly affected due to the huge sum of money being devoted to Durant. The Warriors acquired a top 5 player in Durant, and while they have lost some important pieces in the process, they have also done a great job of bringing in new complimentary players with skill sets to help this team win.